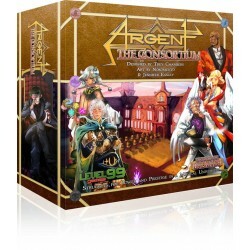 Retrouvez la gamme de Jeux "Argent", édités par Level 99 Games. Argent Il y a 4 produits. 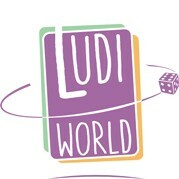 2-6 Players / about 30m per player / High Intensity Cutthroat Worker-Placement & Engine Building in a high-fantasy world. 9,92 € 11,67 € En Stock. Argent: Summer Break is a tiny 20-card mini-expansion that adds a new voter, new supporters, new vault cards, and a new summer break scenario to the game. These have a much more lighthearted tone, such as a yacht you can use to bribe Consortium Voters, some enchanted beach gear, and more. 31,58 € 35,83 € En Stock. 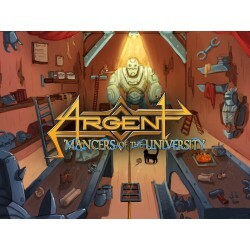 Argent: Mancers of the University is an expansion to Argent: The Consortium featuring a new candidate, new rooms, and a bunch of new spells, treasures, apprentices, and supporters. 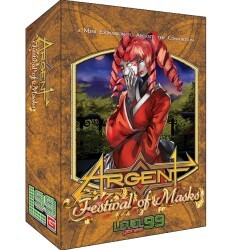 Festival of Masks provides a new way to play Argent, as well as a new resource to race for during play rounds.